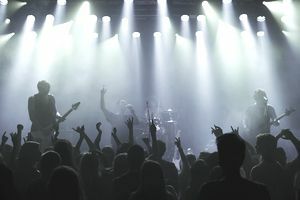 A compulsory license lets a musician record (and sell) a rendition of a previously recorded song by paying royalties to the original composition artist who is the legal copyright holder of the work. These laws let you (the new artist) legally release your new recording of an existing song—and under certain conditions, you can release your song even without the copyright holder's permission. This is an exception to the rule under intellectual property law in which the owner maintains exclusive rights that he or she may (or may not) choose to license to others. Prince, for instance, was known to be very protective of his songs and did not give artists permission to make new recordings of his music. If you approached him, he could demand a high fee or just turn down your request outright. But, by following the compulsory law, you can legally release a recording of Prince's music or anyone else's. The idea behind the law is to foster creativity and allow indie artists the freedom to create new versions of popular music. The compulsory statutes require certain regulations in regard to reporting to the copyright's holder and paying royalties. First, a document called the Notice of Intention is sent to the copyright holder, which states your intention to release your version of their song. It lists your album's information, including the title, artist, release date, and the number of CDs manufactured. This document is sent prior to distribution and includes a fee set by the Copyright Office (under the direction of the U.S. Congress). Currently, the statutory rate is $.08 for songs five minutes or less in length or $.0155 per minute for songs that are over five minutes long. For example, a song that is eight minutes long would earn $.124 for each recording sold. This rate is increased to follow changes in the economy and is usually based on the Consumer Price Index. Alternatively, a musician can ask permission directly from the song owner and negotiate for a lower rate. That's because in the U.S. you are not legally required to abide by the compulsory license standard. Make fundamental changes to the lyrics or melody. In addition, you can't rearrange the sheet music under the compulsory license. For example, if the band American Rappers records a rap song and the band American Bluegrass acquires a compulsory license and then goes ahead and changes some of the words and turns the melody and beat of the rap song into a bluegrass ballad, then American Rappers can revoke the compulsory license of the bluegrass band and stop the recording from further distribution. Request a song that an artist hasn't yet released. That's because the copyright holder always maintains the first right of release. Request a song that's not copyrighted in the United States. Music copyrighted anywhere outside the U.S. is not covered and protected by compulsory law. Use the song of the original artist for a live public performance, as a background track for their own recording, or for use with karaoke. That's because a compulsory license only applies to music that is distributed to the public to be listened to by the end user. Because compulsory licenses can be confusing, let's look at two specific (though fictitious) examples. Let's say that musician John Doe writes and releases a country-western song titled “I Am So Miserable Without You, It's Almost Like I've Got You Back.” Then Sam Smith decides that he wants to record “I Am So Miserable Without You, It's Almost Like I've Got You Back.” If Sam is willing to pay the statutory fee, then Sam is not required to ask the country-western songwriter John Doe for permission. That said, if Sam wants to pay less per copy according to the current statutory rate, then Sam is required to obtain permission from John Doe. Or let's say that Sam Spade composes and records a gospel song. Later, Little Jimmy, a punk rap star, acquires a compulsory license and records Sam’s song but changes the words and eliminates the melody. Sam can take the necessary action to have Little Jimmy's compulsory license revoked and prevent his version of the recording from being distributed (or played) any further.